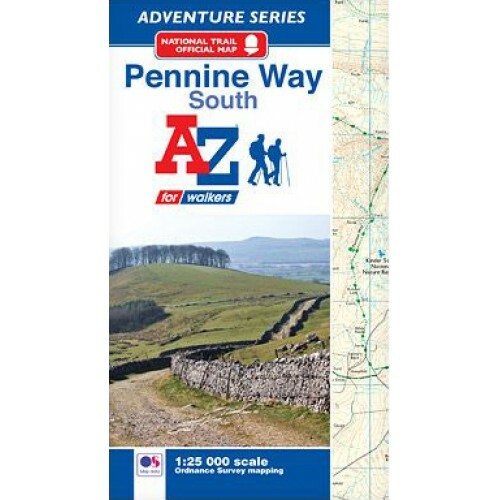 The Pennine Way is a National Trail which runs along The Pennines and links the Peak District National Park with the Cheviot Hills. Starting in Edale, Derbyshire, the walk covers 431km (268 miles) and passes through the Yorkshire Dales, over Hadrian's Wall and through the Northumberland National Park to finish in Kirk Yetholm, just inside the Scottish Borders. 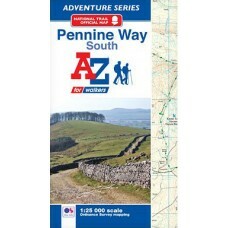 Due to its length, this National Trail has been split into two atlases: Pennine Way (North) and Pennine Way (South). 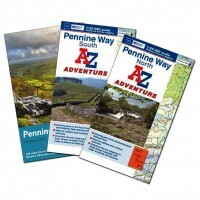 The A-Z Adventure series utilises Ordnance Survey Explorer mapping to eliminate the need to fold and re-fold a large sheet map to the desired area. OS Explorer is Ordnance Survey's most detailed mapping at a scale of 1:25,000 showing public rights of way, open access land, national parks, tourist information, car parks, public houses and camping and caravan sites.